Regional Minister for the newly created Savannah region, Hon. 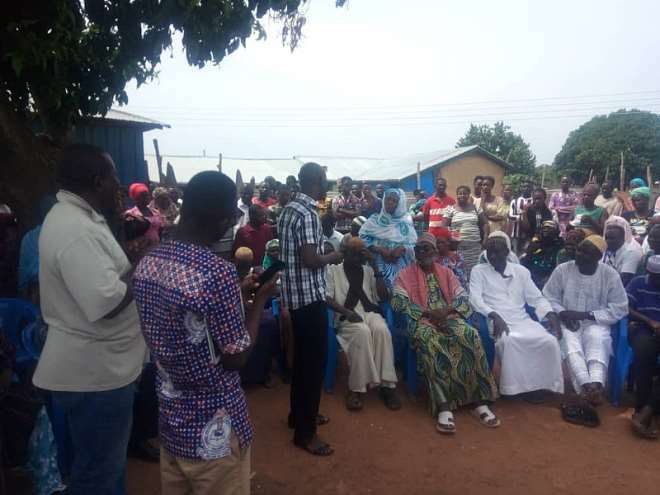 Salifu Adam Braimah, has paid a working visit to the chiefs and People of Canteen Electoral Area in Damongo, the regional capital. 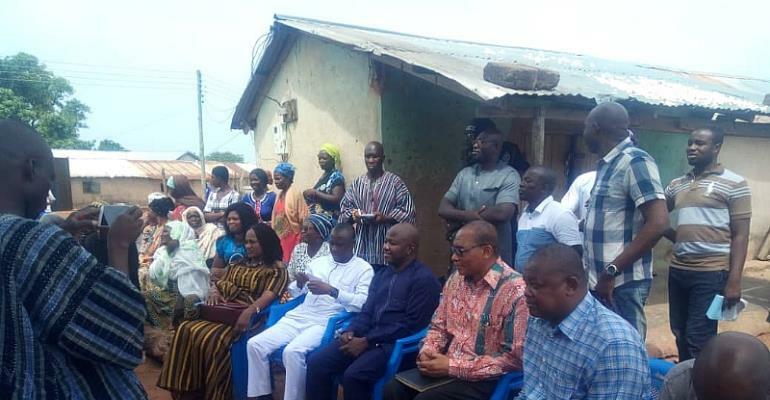 In a brief address, the minister disclosed that the purpose of his visit he was to pay homage and "show his face" to the chiefs and people of Canteen. It was also meant among others to officially inform them that of his assumption of office as the regional minister. He said he was not on a political visit and that the region belongs to all, adding that, he was going to be the father for all; whether NPP or NDC. The ultimate goal of requesting for a new region he said was to propel development and to succeed in that, all hands must be on deck! He said he would need the support of the people of Canteen to succeed. 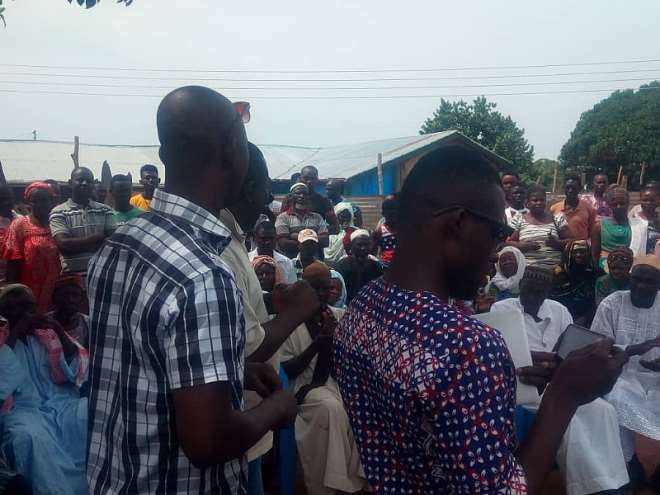 Chief Cletus Zume who facilitated the session said Canteen to a large extent, has become noticeable to people who want to embark on development courtesy Canteen Yaara Development Association. He said we have had the likes of the former president, His Excellency John Dramani Mahama, the Deputy Chief of staff, Lawyer Abu Jinapor among others visit Canteen. And that their visits were not on political lines, but for the purpose of development and that, all these people are proud to associate with Canteen as Canteen Yaara. He assured the minister of the full support of all Canteen Yaara in his administration and called on him to remember the people of Canteen in his developmental agenda. Mma Zelyatu who spoke on behalf of the women appealed to the minister to come to the aid of the people of Canteen with a public toilet and to initiate projects that would empower women. The minister in response assured her that he was going to provide the toilet and that he was ready to work to enhance the livelihood of the people. 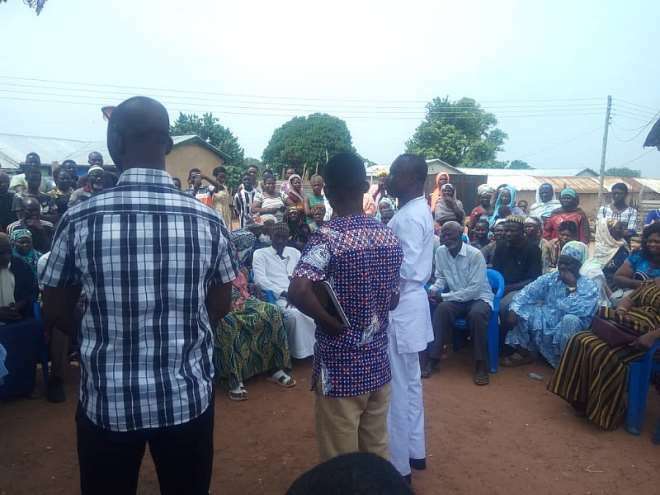 The chief Imam of Canteen applauded the minister for choosing to visit the community and assured him of the full support and prayers of the people of Canteen. He said the people of Canteen are in dire need of development and called on the minister to turn his attention to the community. PAD FM's Ananpansah B Abraham interacted with the minister on the sidelines and asked him of his specific plans towards agriculture in the area. He indicated that Canteen has a lot of Agricultural potentials running from the days of "brigade" which saw communities in Canteen like Agric settlement,Agric extension and the Frafra settlements extensively embarking on Agriculture to feed the nation and sought to find out how the minister intends to harness these potentials for the development of Canteen and the region at large. In response, the minister said his government was already embarking on a number of interventions in the area of Agriculture and it was his intention to continue and to strengthen such interventions in the area. The minister as part of his familiarisation tour chose Canteen as his first point of call. He earlier on paid a courtesy call on the Yagbonwura after receiving a rousing welcome into Damongo from an enthusiastic youth. 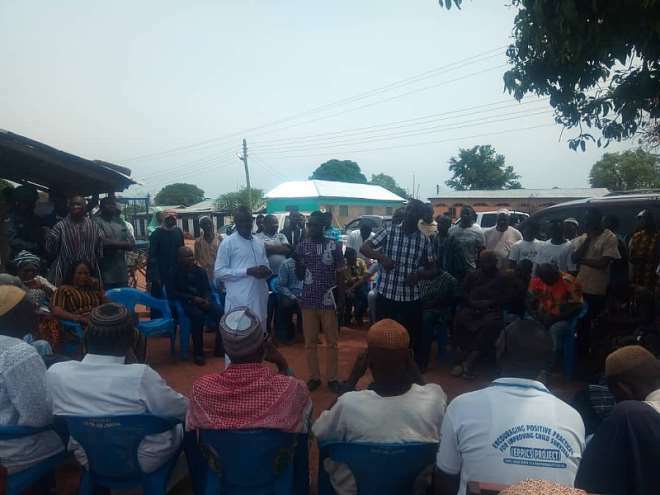 The Salaga South MP was accompanied by his wife, the District Coordinating Director; Mr.Petro Philimon, the Regional Coordinating Director; Mr. Baba Adam, the Deputy Regional Minister; Mr.Tika Samuel and party functionaries.